Some of the best places in New Zealand are located after the sealed roads end. Focused on enabling extended exploration for our clients, we introduce BEATNIK-X, a whole new ADV riding experience. As normal, BEATNIK is not content with the usual or the ordinary so we decided to bring some Italian flair to Adventure Riding with our light, nimble and expertly equipped, Scrambler Ducati DESERT SLED's. Want to get away from it all? Witness sights that few have seen? With BEATNIK-X the fun begins where the sealed roads end on extremely capable and fun bikes from Scrambler Ducati. 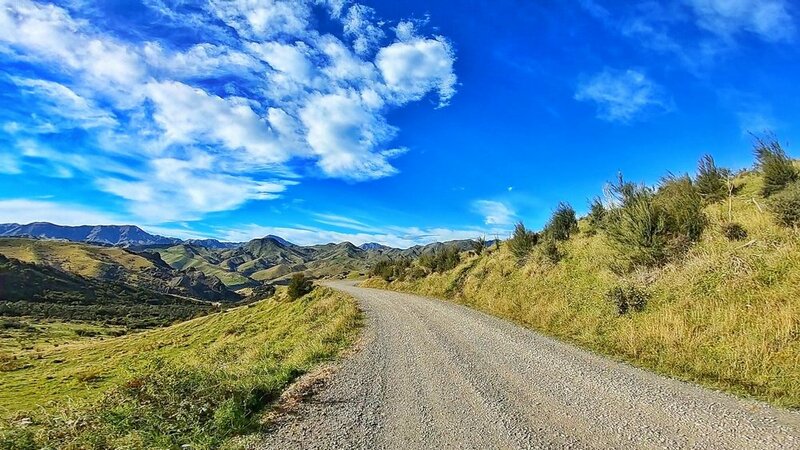 Want to add something special to your New Zealand Motorcycle Rental Adventure? Camping Gear? Hotel/ Campsite reservations? Contact us directly and we can customize an experience just for you. Must be 25+ years old to ride Beatnik Motorcycles. Must be experienced at riding on unsealed surfaces. Riding Limited to Sealed and Gravel/Dirt PUBLIC roads. Off-roading and Trail riding not permitted. BEATNIK New Zealand Motrocycle Tours are generally self-guided however we do also provide custom guided options as well. It’s your adventure, you should be in charge so just tell us what you need. To ensure you have an amazing and unique experience, we will support your adventure by leveraging our extensive local knowledge and the latest in technology. Optional Garmin GPS units can be programmed with a custom routing, way points and *BEATNIK APPROVED points of interest. These GPS units can also be paired with your smart phone or our helmet intercoms. For those who like a bit of low tech exploring, we provide free pre ride consultation to get you to all of the must see’s and some secret spots as well. BEATNIK APPROVED = We’ve seen it, done it and liked it. Optional helmet intercom sets are available so you can share information and directions with your tribe or simply comment on their riding style. Added value indeed. Note: Be sure to pre-book this with your bikes as they take a bit of time to set up. You will recieve a thorough and specific saftey briefing prior to your departure. All motorcycles undergo a thorough cleaning, maintenance and safety check every time they are used, regardless of how long they were out. Any significant mechanical repairs or maintenance is done by a manufacturer authorized center. BEATNIK staff are friendly and always available to help. If you have any special requests or issues before or while on your adventure, just contact us and we will do our best to help you as effectively and quickly as possible. We also have a secure parking lot if you need to leave your car while riding and a secure facility in our shop to keep any personal belongings or luggage that you don’t want to take on your adventure. Want to add some style to your adventure?